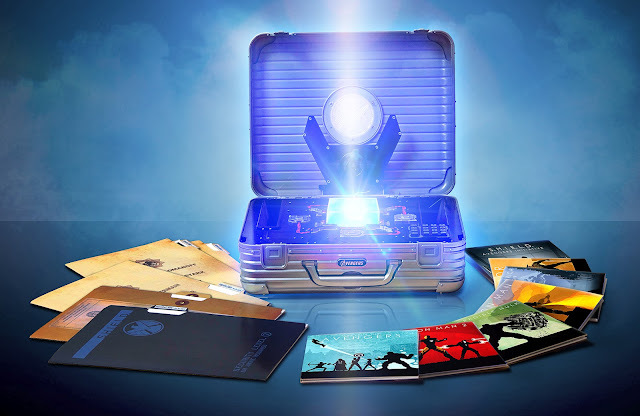 Fruitless Pursuits: New 10 Disc Marvel Blu-ray Set Feature The Avengers Plus a Glowing Tesseract! Artist Matthew Ferguson is responsible for the artwork on these beautiful retro sleeves. I really dig this style! Check them out! Stunning! Marvel, you totally got this right! excellent! I've been waiting for something like this to pick up these movies on Blu-Ray!! This package is really amazing, even though I just don't know how to use the tesseract. Probably a perfect design on my room, gonna light it up whenever I sleep.